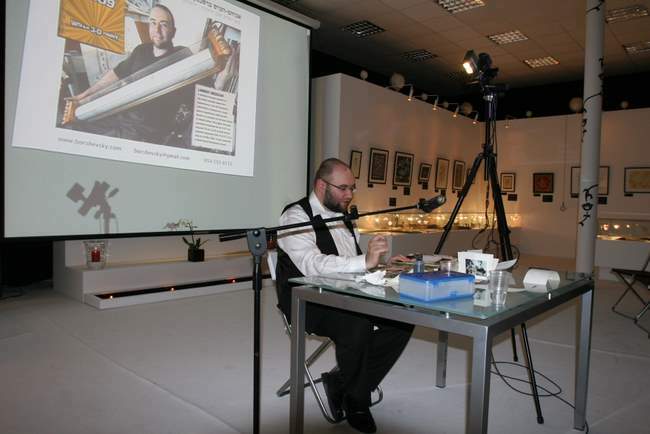 Master classes were organized with participation of the Israeli Cultural Centre in Moscow. 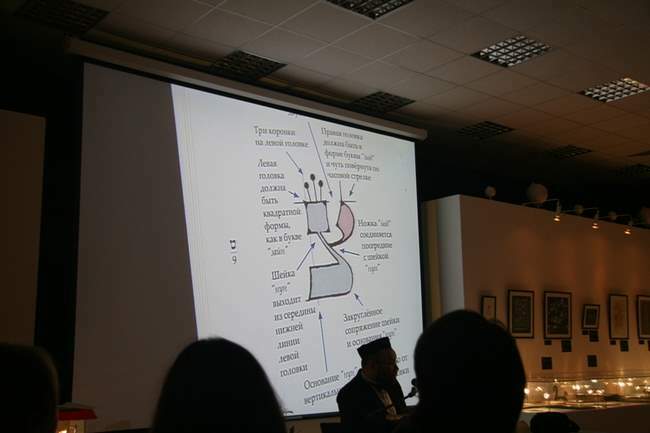 According to Avraham-Hersh Borshevsky, Kabballa sees sacred calligraphy as the manifestation of the Mystical revelation of Moses encoded in twenty-two letters reflecting the interaction of ten higher spheres. 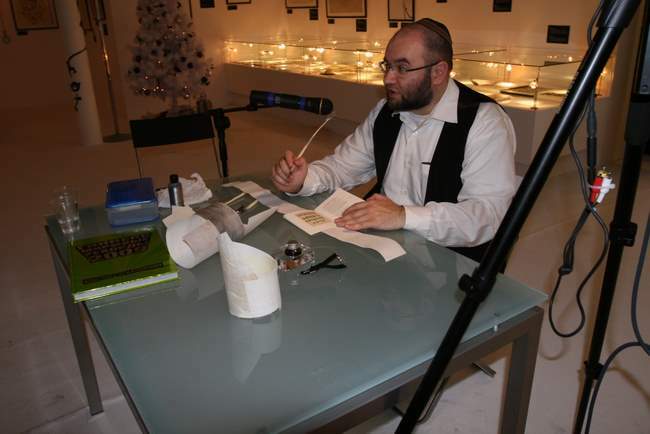 A kosher letter must be written only with ink and turkey quill, and cannot be engraved, applied or printed. This is only one out of many rules which a calligrapher should follow to make his calligraphy truly kosher and comply with the canon. 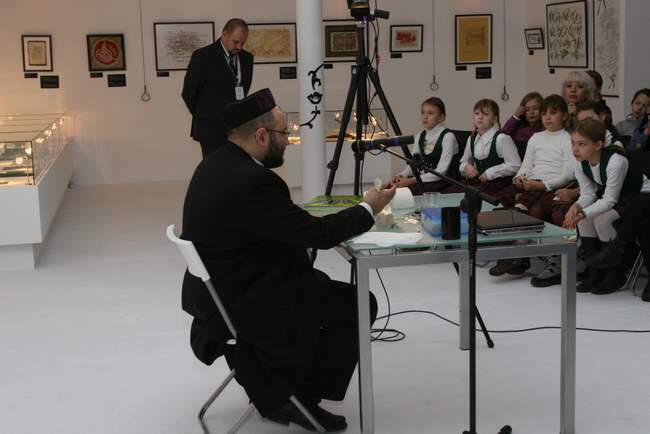 Mr. Borshevsky thoroughly explained and demonstrated how sacred Judaic texts are created. The topic proved to be so intriguing that the audience was still storming the master with questions long after the class was over. This fascination proves that people are finally starting to acknowledge calligraphy as a real art and want to benefit from any opportunity to learn more about it. 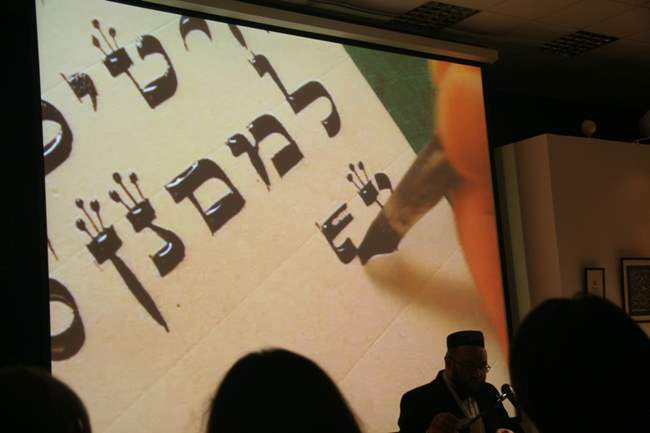 The Master of kosher calligraphy Sacred letters This calligraphic chef d’oeuvre made it to the Guinness World Records book Everybody gasped Is kosher letter an art or a science?